THE SKINNY: Hands down the best sensitive skin lotion ever. 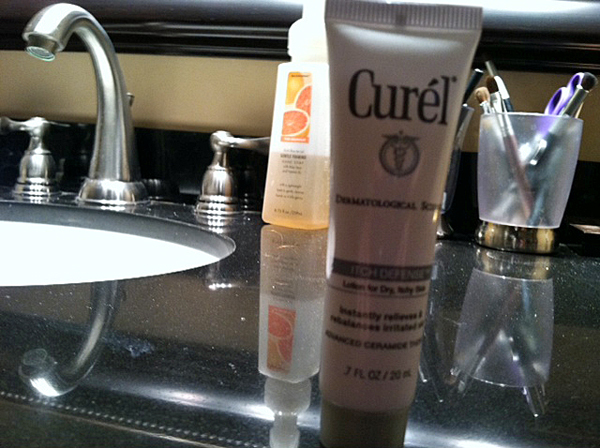 Certain areas of my skin get irritated easily, especially in the colder months, and this lotion has been a life-saver. The irritant-free formula has not extra colors or scents and just a small amount will go a long way. The lotion earned the seal of approval from the National Eczema Association and I can attest as well that it did not cause extra irritation to my patch of eczema. I could tell how different my skin looked and felt after only about a week of use. After about a month, I was able to start mixing in other lotions as well – even some with colors and fragrances – without irritation. KEEP OR TOSS: Can't-live-without-item. Curel really has a winner here that I hope never gets pulled from store shelves. 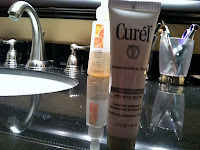 CHECK IT OUT: Learn more about how Curel Itch Defense lotion works and if it is right for you. The company also posts results from their clinical study on the product. Carrie - I bought this Friday after reading your review because my legs get crazy dry and itchy during the cold weather months. After just 3 days of use, the itch is gone and my legs feel like silk. I love it and will be stocking up! Awesome!! So glad I could share. Winter skin is the worst! !